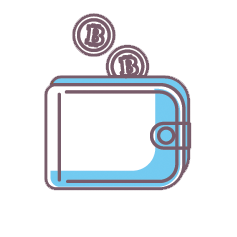 Pending payouts are easily tracked throughout the contract for each wallet account. The payouts are then distributed each week on Mondays for the remainder of the contract. In addition, all of our calculations for share distributions can be independently verified by anyone, since we use a public mining pool and not a proprietary one. All of our machines are colocated in a cool, purpose-built mining facility in Upstate NY. Beginning as hobbyist miners ourselves, we have years of experience in cryptocurrency. Any unanticipated interruptions are entirely on us. Additionally, 99.8% of weekly payouts have been sent out on time. We have been doing this for 3 years and have a proven track record of delivering. If you're new to cryptocurrency, we can help you navigate so you are informed. Thinking about getting into mining hardware or just want to learn more? Drop us a line! There are a lot of hidden costs that go into mining bitcoin, including acquiring the machines, maintaining them, cooling them, insurance, pool fees, transaction fees, fire suppression etc. Our mining packages are all inclusive and worry free! And you get a knowledgeable team that can help you along the way. We sell processing power, so the amount of speed (given in Giga and Terra hashes) purchased with us will dictate the earning potential that will be generated over the life of the contract. You can use any third party mining calculator to calculate for yourself what you should expect on average. Click here for one and put the number in GH's (1 TH= 1,000 GH). Over a short term, mining can be highly variable. Some weeks it's possible (though improbable) that we may not hit any blocks, and there will be no bitcoin produced. Other weeks we may produce twice the expected amount. Over a long period of time this will average to about 100%. This protection is factored into the price of our plans and it's recommended to leave this enabled for shorter contracts with us. There is no ceiling to how much you can make on lucky weeks, but the least you can make is the expected. This protects you from a substantial loss if the pool suffered bad luck during a short term mining contract. Find more information on how this works here. Why should I get into cloud mining? Our cloud mining services are directly sold from what was our personal mining rig, located in Plattsburgh, NY. It's simple: rent a portion of the mining rigs earnings for a month and receive that percentage of earnings every week. This is a small operation, and we currently offer up to about 115TH. However, there's still room to grow, and we guarantee to deliver the agreed hashing power while aiming to exceed your expectations. Any problems like power or internet outages are on us. We're always willing to work with you! Plattsburgh BTC is a family owned bitcoin mining operation that started in 2015 by renting out data processing power to clients in order to make mining, an energy and resource intensive task, more accessible and easy. We've been able to keep things affordable by leveraging cheap electricity and scale. Today, we've expanded our operation to a cloud mining platform specializing in bitcoin and are working on expanding to other cryptocurrencies. We believe in the philosophy of cryptocurrency and want to advance its adoption through ease of access to its production and investment. Come mine with us! Why not buy my own equipment? One of the most difficult things about getting into mining at home is the cost of electricity and setting aside space for the equipment. But we take care of that! Our mining contracts are all inclusive. The risk of purchasing hardware, buying electricity, cooling, and housing for units is taken out of the equation with our mining contracts. So explore our site and learn more, and of course feel free to contact us with any questions, we're here to help. We have years of experience working with bitcoin, and we aim to be as straightforward as possible. The price is all inclusive: all fees, including maintenance, electricity, cooling, internet, rent, insurance, 100% luck protection and the machines themselves are factored in, so there are no additional or "surprise" fees. A great way to get started with mining! The table shows the least amount you should expect to earn in bitcoin at each tier, but note that this varies slightly during difficulty changes and we can make no promises as to the dollar value of your earnings. You can turn off luck protection by entering code 100%LUCKOFF at checkout (-35%). To learn more click here. Don't forget! Find special offers by following us on Twitter or liking our Facebook page. Happy mining!